This is day 1 for one of my students on paper she stretched 20 years ago. Having packed away her art materials to return to work after children, it didn’t take long to revive her skills! What a fantastic result! 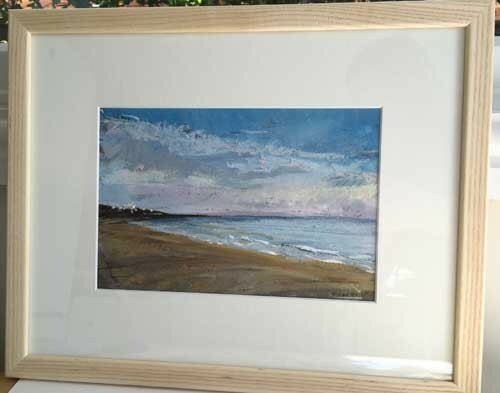 This entry was posted in pastel portraits nina squire pastel workshops dorset on October 2, 2010 by thepaste. 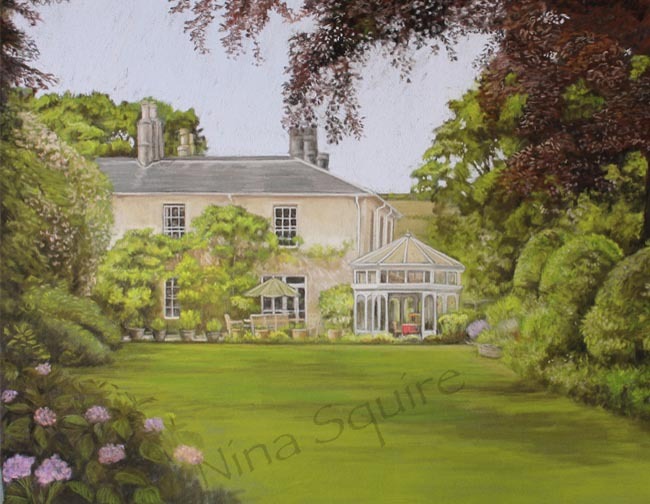 Hope the start of spring has started you thinking about drawing the lovely Dorset scenery as it comes back to life. My pastel workshops are hosted by Stewarts Garden Centre, in the Phoenix Centre, Wimborne. It’s a great with room with natural light and lots of space. 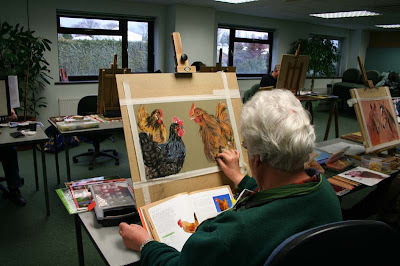 The courses are suitable for beginners and experienced artists, a selection of pastels can be provided for beginners and experimentation. We’ll be covering all sorts of techniques and subjects to get you inspired to take your pastels out and capture a beautiful summer scene. This entry was posted in pastel portraits nina squire pastel workshops dorset on March 24, 2010 by thepaste. 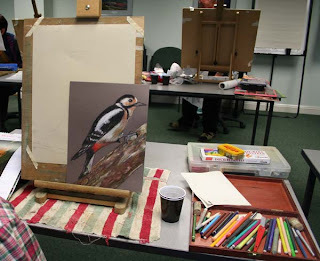 Pastel workshops run by Nina Squire. Beautiful chickens by Deanne. 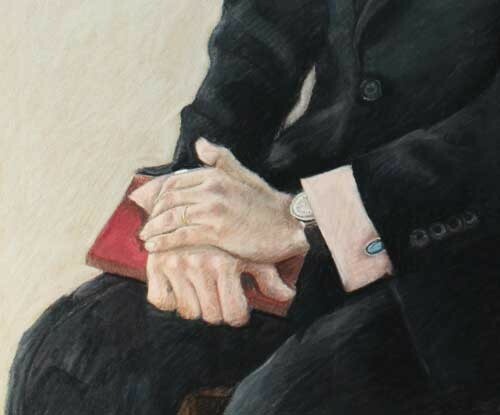 This entry was posted in pastel portraits nina squire pastel workshops dorset on February 24, 2010 by thepaste. 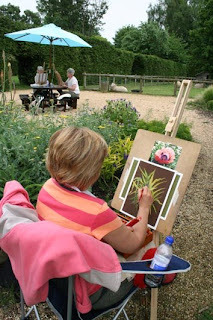 My pastel workshops have been running for a few weeks, kindly hosted by Stewarts Garden Centre. We’ve been looking at different themes during the sessions. This week farm yard animals took over! Joyce found some fantastic pigs whilst out in Dorset. 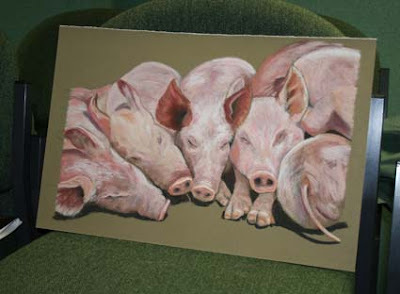 This is her finished pastel painting of them! They are brilliant! Gilly found these cows near Holt in Wimborne. 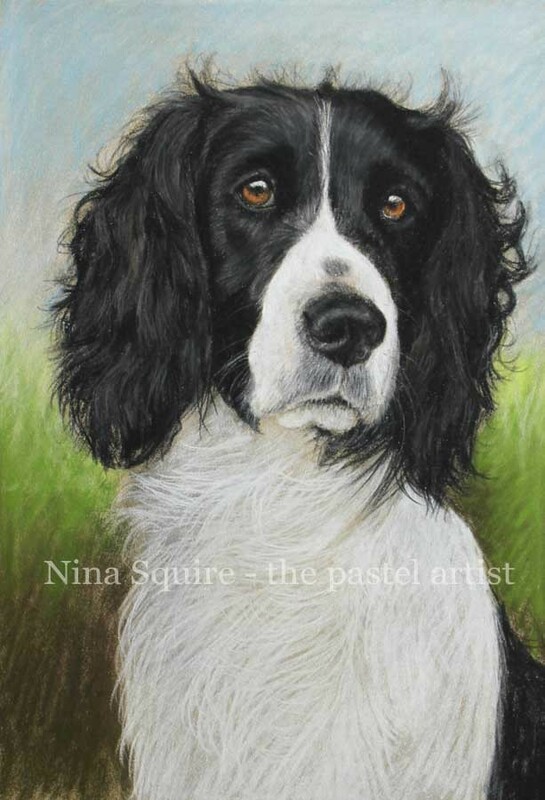 They make a great pastel painting with the curly coats being a real challenge! 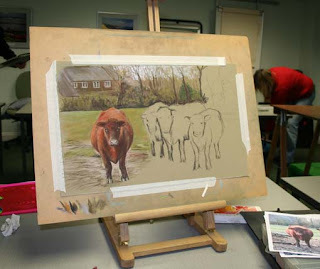 This entry was posted in pastel portraits nina squire pastel workshops dorset on February 4, 2010 by thepaste.